Ellen L. Clacy (about 1853-1916) was an amateur artist. Amateurs rarely exhibited their work at public exhibitions, which is the reason why so little is now known about them or their works. The artistic achievements of amateurs could be very high, in some cases exceeding the talents of professional painters. 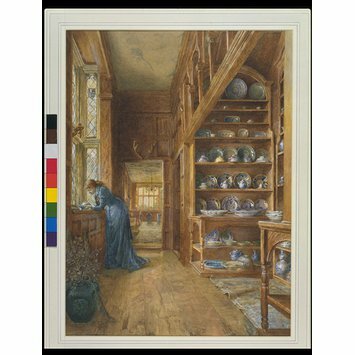 Clacy did exhibit her work, in London at the Royal Academy of Arts and the Society of British Artists between 1870 and 1900, but little else is known about her. 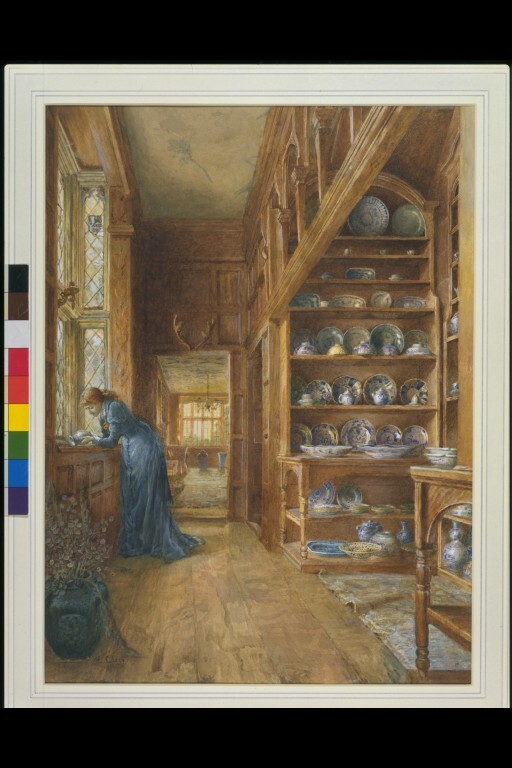 The setting for this watercolour is the famous china cabinet belonging to Lady Betty Germain at Knole, the great 15th-century country house in Kent, south-east England. Clacy echoes the blue of the china throughout the painting. Ellen Clacy's mother was the travel writer of the same name. The location of this interior is Knole in Kent, an ancient country house which inspired many Victorian artists. Oriental and Delft ceramics are displayed. 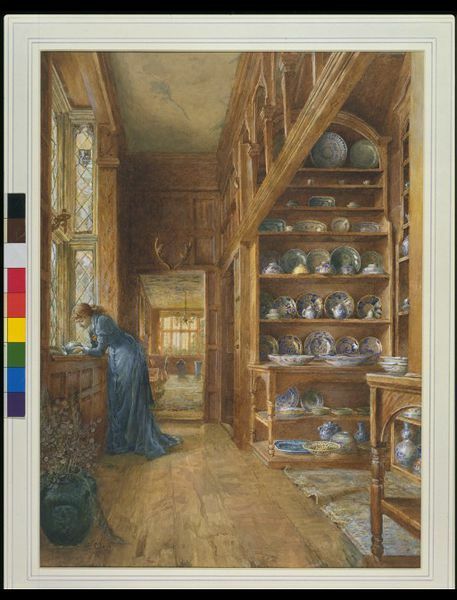 A languid figure of a girl, dressed in blue, appears on the left examining a ceramic vase. Knole is a grand country house in Kent and the china closet took its name from a frequent visitor in the 18th century. Blue and white china was much admired by followers of the Aesthetic Movement, who prized objects of simple beauty. Its colour is echoed in the dress of the lady at the left.